Looking for a variety of wonderful options for a gift for Mother's Day, aside from the typical vase of flowers? Well, look no further because today I have a few of my favorite gift ideas for mothers! My mom loves flowers and kitchenware and books and lotion and jewelry. Every year I feel as if I get her one of those things and at 21 years of age I feel like I might have exhausted all of those options. Do any of you feel that way? It'd be nice to know I'm not the only one. Today I sat down and really tried to think of some ideas for gifts to give my mom and I think I've come up with some pretty good options, good enough to share on my blog anyway. Some of these gifts I will admit are on the pricey side but they are all really great quality! Check it out and share your favorite ideas in the comments below! This first gift idea is for the moms that love to take pictures and have a camera with them always. 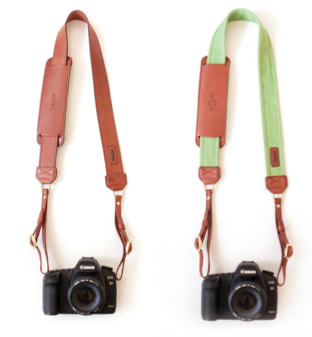 I love Fotostrap and their products, and I love the variety colors and materials! These two are may favorite. You can learn more about the mission of Fotostrap here! The next item that I think would make a great gift for moms that like to read, is a Kindle from Amazon! I know that my mom doesn't have much free time to read, but over the summer I think she would really like this gift. Click on the photo below to check out options for different Kindles! The third idea that I had was a gift with a more personal touch. I recently discovered the "chatbooks" app for my iPhone and it's so neat! 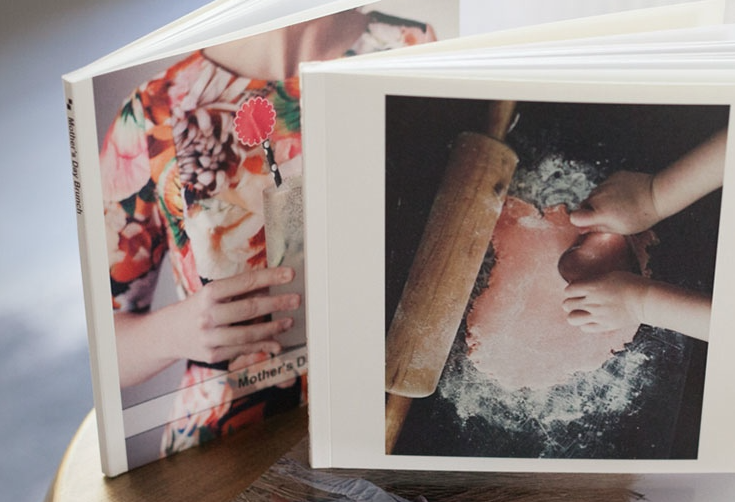 You can create photo books with pictures from your phone library or your instagram. They're really customizable and only $6 for 60 pages, plus free shipping! Isn't that a great deal? The last thing that I thought of was actually after reading a post on Betsy's blog that talked about a great Mother's Day basket idea. The Amopé Pedi Perfect Electronic Pedicure Foot File has gotten great reviews and for someone that is on their feet a lot a really think my mom would like this! Click on the photo below to get to the details page for the foot file! I always have a hard time thinking of mother's day gifts, but my mom loves her Kindle. I'm thinking an amazon gift card and some flowers, and I'll be set! That sounds great Becca! Some of the links above can click through to Amazon and all their Mother's Day gift ideas. I hope she has a beautiful Mother's Day! Yay Mom! Never heard of chatbooks and so glad you mentioned! I really think I might do that for my mom! LOVE IT! Awesome Kimberly! They are seriously the cutest and SUCH a great price!